So my friend and mechanic Retired Master Sergeant Jimmy Wilson, USAF, has gone to Clinton, TN to spend the week fishing with the pros. Not a bad gig, right? “I’ll probably put 40 hours on my boat just this week, that’s more than most people do in a year.” Wilson told me in an interview last week. “I’m actually pretty pumped about it,” he added. That has to be the best 40-hour work week I’ve ever heard of. And? I think he’s edging for a new boat. The FLW (Fishing League Worldwide) Norris Lake Invitational is a 3-day tournament October 20 – 22, 2016, one of seven regular season events in the FLW Tour. The FLW Tour consists of pro-anglers and co-anglers, the best of which will proceed to the 2017 Forrest Wood Cup to be held on Lake Murray late Summer, 2017. During the competition, the anglers will accumulate weight of the fish caught each day and the top ten on Saturday night will advance to Sunday. The winner of that will go to the Forrest Cup. Jimmy and Susan Wilson are spending the week on Norris Lake as he uses three days for practice, followed by the tournament. Along with Susan, there should be around 300 – 500 spectators, many of which are looking for a photo-op or autograph with the pro-angler of their choice. The event will present fishing seminars and vendors, very similar to a NASCAR event. 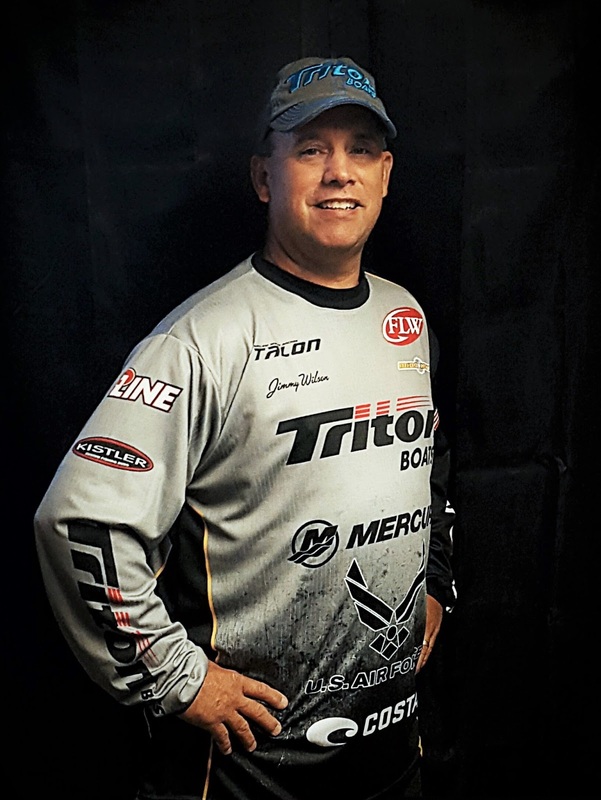 Jimmy Wilson has been fishing semi-pro since 2009 in the BFL. He received an email invite to the FLW Norris Lake Invitational this past August. 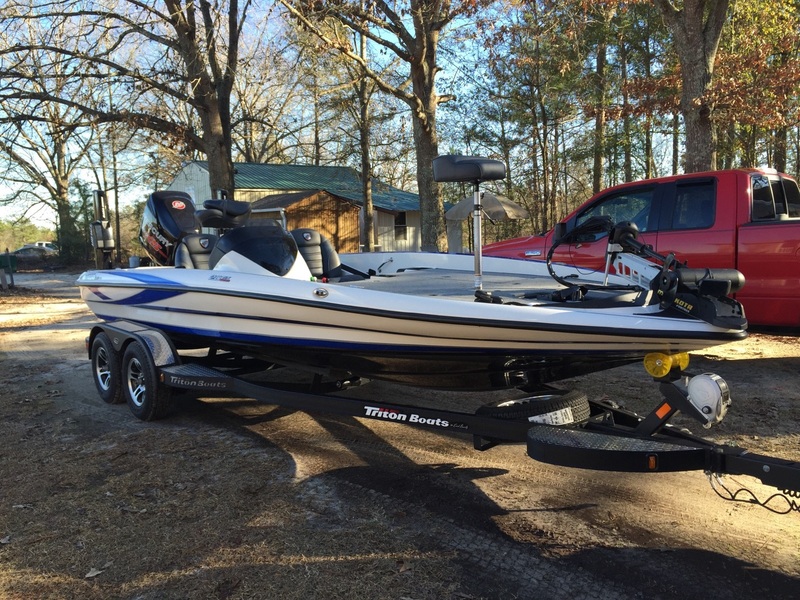 Wilson is sponsored by Kistler Rods and P-Line and has a 2015 Triton 20 TrX boat. “On the BFLs, I have to fix the boat myself.” Wilson boasted, “But on the tour level, the manufacturers will be there to fix it on the spot.” He may or may not have said “boo-ya” under his breath. The guy was pumped and I was getting there myself. While he won’t have a pit crew, he will have a marshal on board to keep him honest. Each FLW angler has a marshal on board. The FLW Walmart Tour Norris Lake Invitational will be televised on an NBC Sports Channel and it will be live streamed on FLW.com. Take time to check in on Jimmy Wilson throughout the weekend, this is a pretty big deal, the weight check-ins will be live. You can click the “Results” link at the FLW site as well and look him up by name, too. Enjoy the rest of my interview below. VS: Tell me about fishing as a sport, a national sport. JW: It’s vastly becoming as big as NASCAR. It’s not a slow progression, either. Big companies are getting involved like Walmart, T-H Marine, Folgers, Tide. I’m a little late in life to get started in this. Most of the new guys coming into this are probably 18 – 25. They’re starting to have college fishing teams now, too, so they’re getting recruited out of the colleges. Clemson for the past couple of years has won the championship with their teams. VS: What are things to consider in the sport, what affects your scoring? JW: The weather! You don’t want it to be bright and sunny. You want some cloud, a little wind. Rain’s great. Don’t want sun and no clouds, that makes for the toughest fishing in the world because the fish go deep, stick tight to cover, and go underneath logs and rocks. It’s hard to catch them like that. I can catch them, but it’s one of those days where you might get just five bites and you better catch all of them. The skill: Part is understanding what the fish are doing for that particular time of year. In the springtime, when the water gets to the right temperature, the fish come up the water to spawn. So then you know that, at that time of year, you need to fish shallow. Well, after they’re done spawning, they go out deep. The hotter it gets, the deeper they go. And sometimes when it gets real hot, they come back shallow, I don’t know why, but they do. Different times of year dictates where and how you fish and what kind of bait you use. Now there is a little luck in there, too. If you can’t find the fish, but you know that you can catch one, you just aren’t in the right place at the right time. The best thing you can do is to cover a lot of water. Stop in a spot, make a few casts, and if you don’t get a bite, it’s time to move on. VS: Do you have a fish finder? JW: Yes, I have two fish finders. I have two Hummingbird fish finders/gps combined. That’s the crucial part of it: You have to be able to find those bait fish. You can idle around and once you start seeing those bait fish, there’s other fish there as well. And you’re looking for different structures, you’re looking for different brush piles and piles of rock…. You can see all that. The sonar has become so sophisticated that you can drop a car off in a lake, I can run over it in my boat, and I can see the car. It’s pretty detailed. I also have an H2 Hydro Wave, its’ a bait fish mimicker. For example, say, Clark Hill, has blueback herring. Well, they make a certain type of splashing noise depending on what they are doing. If they are spawning, they have a certain type of noise, if they’re schooling, they have a certain type of noise. Well this thing is just an amplified speaker that makes the noise of those fish. And the theory is that it will bring the other fish to where it is. It works, I’ve watched it! The fish swim right up to my speaker. VS: Is there anything you’re not allowed to use or do in the FLW Tour? JW: You can’t use any live bait. You can’t troll. If you’re sight fishing (usually that’s in the spawning period because you can see them spawning) you have to hook them inside the mouth. Any other time, if you snag it while you’re fishing, you’re good, as long as you’re not sight fishing. You can’t use pontoon boats; you can’t use john-boats. It has to be a bass boat with a live well to keep the fish alive. That’s really the most important thing – to keep them alive so we can turn them loose and let somebody else catch them. We practice catch and release. VS: Who’s the big name? Who’s the “Arnold Palmer” of fishing? JW: You got Shaw Grigsby, Bryan Thrift (he just won the last tournament). Wesley Strader -- he’s been around for years, a good man. We’re all fishing against each other. One on one, Mano a Mano. VS: Looking back, what do you wish you had done different to be more prepared for this moment? JW: Not gotten into drag racing and fished when I wanted to. I got into drag racing when I was 18 years old. 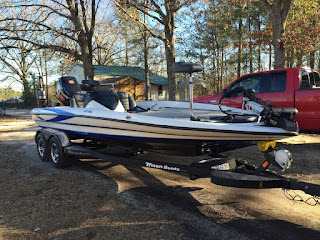 I really couldn’t afford a bass boat; bass boats are expensive. VS: What do you tell the little kid who is fishing and who wants to pursue it? JW: Follow your dreams. Enjoy yourself and have fun with it. Jimmy Wilson was born in Cincinnati and raised “all over the United States.” Wilson has three brothers, one of which is deceased, and one sister. His mother is living in Ohio; his father is deceased. Wilson and his wife Susan have 8 grandchildren, all of which have the fishing bug.